Recently, the Victorian Government brought in new rules stating Victorian state schools will be banned from using facial recognition technology in classrooms unless they have the approval of parents, students and the Department of Education. Students may be justifiably horrified at the thought of being monitored as they move throughout the school during the day. But a roll marking system could be as simple as looking at a tablet or iPad once a day instead of being signed off on a paper roll. It simply depends on the implementation. Trials have already begun in independent schools in NSW and up to 100 campuses across Australia. According to the developers, the technology promises to save teachers up to 2.5 hours a week by replacing the need for them to mark the roll at the start of every class. Many students now have smart phones that recognise faces right now. 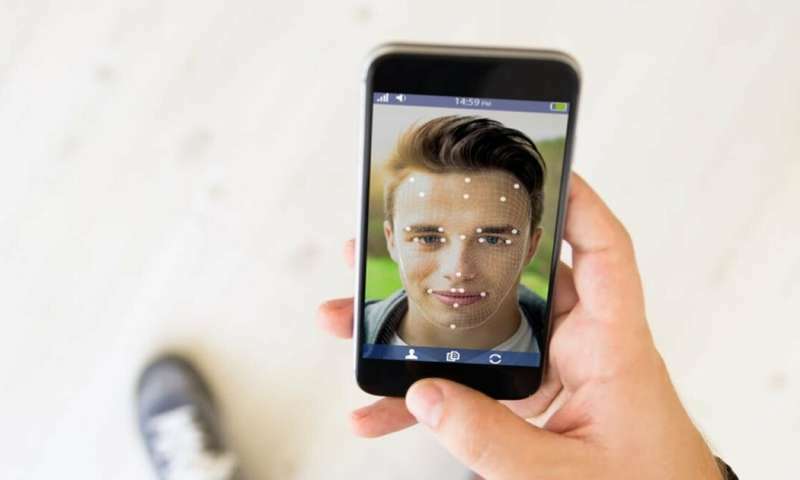 There are also downloadable face recognition apps for Android phones and iPhones. So face recognition is already in our schools. And I argue that, like earlier technologies such as the motor vehicle and mobile phone, a strategy where adoption is managed to create the most good and least harm is appropriate. We shouldn't simply ban it. Face recognition technology uses a camera to capture a face and then matches this face against a database to determine identity. First, the face or faces must be detected and localised in the camera frame. Then, face images are aligned and rescaled to a standard size. Finally, these faces are matched against a database. Matching is almost invariably performed using artificial intelligence technology. We are now in a golden age of face recognition. The main reason for rapid adoption is recognition accuracy has improved astronomically in recent years with 20 times better accuracy from 2014 to 2018. Now deep learning – a form of artificial intelligence that uses a machine to do a task that usually requires human intelligence – is used for face recognition and an increasing number of other vision tasks. The simple application of this technology proposed for schools is to automate the collection of the student roll call for classes. This is a mandatory compliance requirement imposed by the education department. Roll call is a menial task currently performed by highly skilled teachers or their assistants. Looplearn, the Melbourne startup running the face recognition trials, estimates approximately 2.5 hours of teaching time a week is wasted through mandatory roll calls. Student time is also wasted. Most of us remember waiting in line many minutes to get marked off on a roll during our school days. Roll call is not a constructive use of time, but it is required by law. In wider society, it's now estimated each of us spends three working weeks of the year simply authenticating ourselves to computers and other people. This is time consumed in providing identity documents, password resets, signing documents, waiting in phone queues, and so on. Clearly authentication is vitally important, but it is consuming increasing amounts of our daily lives. Time is one resource none of us can ever recover. Many of us remember how bad and slow airport immigration control was before Australia adopted face recognition. Now we can leave Australia with very short delays using SmartGates. An electronic image of our passport photo is securely stored within the passport itself. The SmartGate terminal extracts the photo from the passport chip and gives us a blue ticket. We then insert the blue ticket into the SmartGate, look at the camera and wait for the face recognition technology. If the faces match, the gates open. Privacy is often raised as an objection and this issue can never be dismissed lightly. Objections are mostly based on the collection and distribution of the photos. But every school collects photos of their students already and schools have strict control over distribution. Such controls would necessarily be built into any school certified system. The only fundamental change to the process is whether the teacher or a computer recognises the student. Commercial face recognition technology is often quite unreliable unless the person cooperates by standing still and looking directly at the camera like a SmartGate. This is quite different from non-cooperative recognition of persons without their knowledge using surveillance cameras. Cooperative face recognition systems are now well-accepted by the public at the borders, and privacy has been carefully considered in their design. Face recognition technologies will become widely adopted across society over the coming years. Concerns over implementation and privacy may slow down adoption in some places, but the tide will come in and will change business practices right across the world once that happens. So who should manage and advise on these changes? Government will certainly have a role, but they need to be well advised and be aware of best practice worldwide. Such a role role is often played by the Biometrics Institute which was established during the development of the SmartGate system to advise on biometrics best practice as well as privacy concerns. This technology has the ability to free up our time and reduce the costs of necessary compliance as has already been demonstrated at the airport. As with all new technologies, face recognition raises legitimate concerns. Constructive policies and dialog are the preferred way forward to gain the maximum benefit for society at large, and to make sure we do the least harm.